This article has been viewed 12670 times. The last few years the western world has been buzzing with talk of green tea. Green tea has been a staple in the Chinese lifestyle for centuries by promoting longevity of life. Other benefits of green tea is reducing heart disease, weight loss and now prevention of dementia. Scientist have been challenging the properties of green tea with regards to dementia to see if it really is the miracle tea that it is professed to be. 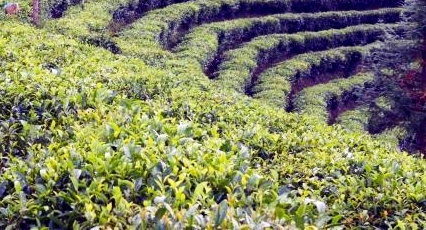 Scientist from Newcastle University in England made it their quest to dissect the properties of green tea. They specifically were interested in discovering in how the properties of green tea work after they are digested. The scientists discovered that the properties of green tea work better once digested. They strongly believe that two compounds are designed to attack brain degeneration; these are hydrogen peroxide and a protein known as beta-amyloid. Now there is research that suggests green tea has the ability to reduce dementia lets address what it is. Green tea, as was mentioned originates from China and is used in Japan, some cultures in Asia, South Korea and some of the Middle East and now it is becoming more and more understood by western cultures. Green tea is made from the leave from a Chinese plant called Camellia sinensis. The tea leaves undergo a oxidation process which is a process that transforms the leaves into a brewing tea. Obviously, there are many health benefits to drinking green tea, and now scientist believe that it prevents dementia but what does it taste like. To those who have never drank tea it probably tastes unusual or even distasteful but if the health benefits are as broad as they say then perhaps its worth sacrificing taste. With that said there are many people that enjoy the taste of green tea.